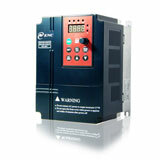 In our company, the three phase ac motor drives power range are from 0.75kW to 630kW in 380v, 400v, 415v, 420v, 440v, 460v integrated RS 485 & Modbus communication protocol for easy real time control for most kinds of applications, it can easy achieve soft start & stop to protect the ac motor from high-current impact and make the power grid more stable. 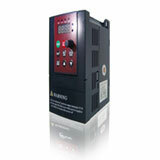 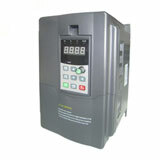 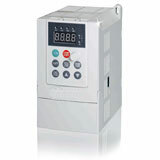 The three phase ac drive manufactured by us have lots of advantages, like high overload capacity: 60 seconds in 150% rated current and 20 seconds in 180% rated current; high speed control accuracy: less than 1% of the synchronous rotated speed at rated frequency; allow analog input/output: 2 programmable terminals for PID control in 0 - 10V or 0/4 - 20mA; Tracking the ac motor’s speed in real time when restart in instantaneous power off; etc. 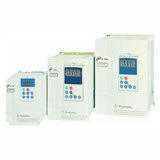 For the power above 5.5kW, LED and LCD keypads are available for option, means you can easy copy parameters from one ac motor drive to another in your production lines.